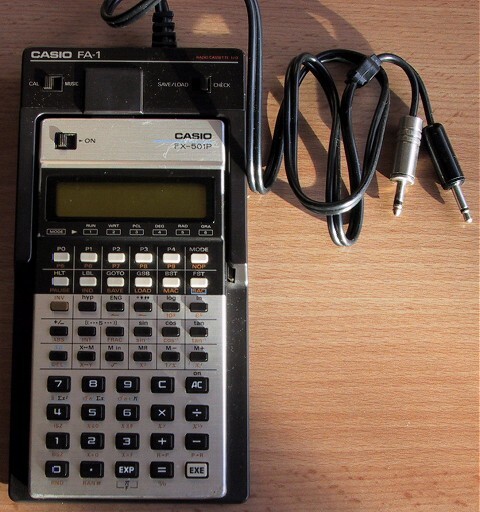 the fx-501p and fx-502p were a quantum leap in the ability and storage of programmable calculators at the time, for casio at least. 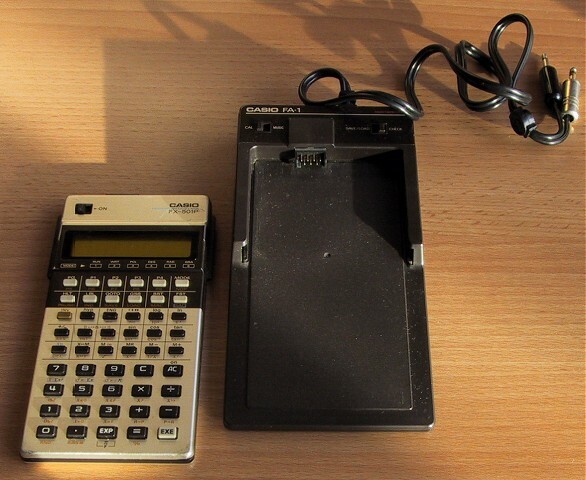 the only things around to compete with them were high-end hp models which cost a lot more, like the hp41c. the 501 is the same as the 502 except it has only 128 program steps instead of 256. the extra 128 steps in the 502 were well worth it, because 256 steps of merged keystrokes allowed the creation of programs previously not possible - and some longer tunes! you could store ten programs p0 thru p9 with loops (isz, dsz), conditional jumps, subroutines and labels and quite powerfully, indirect addressing - the ability to reference a memory by the contents of another (special) memory. this feature harked back to the fx-201p in which it was almost totally useless because of limited storage. 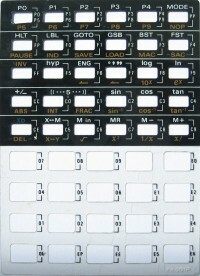 the 501 had continuous memory and the programs could be saved and loaded from tape using the optional fa-1 interface. and here it is connected to the fa-1. the fa-1 was the cassette interface unit. the calculator has save and load buttons that do this when connected. switches on the fa-1 allowed a "check" operation whereby the program so saved could be verified before being erased from the machine. and then the most bizarre thing. you could play music! 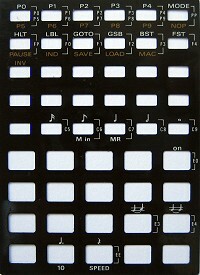 a switch on the fa-1 made the internal program opcodes map onto musical notes. 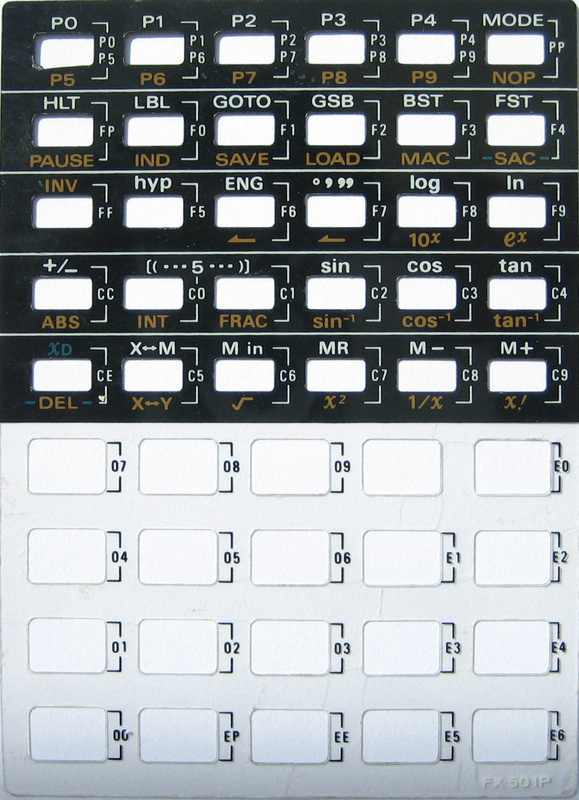 you had a small plastic overlay for the keyboard which detailed the notes and the musical timing in terms of note duration and overall tempo. 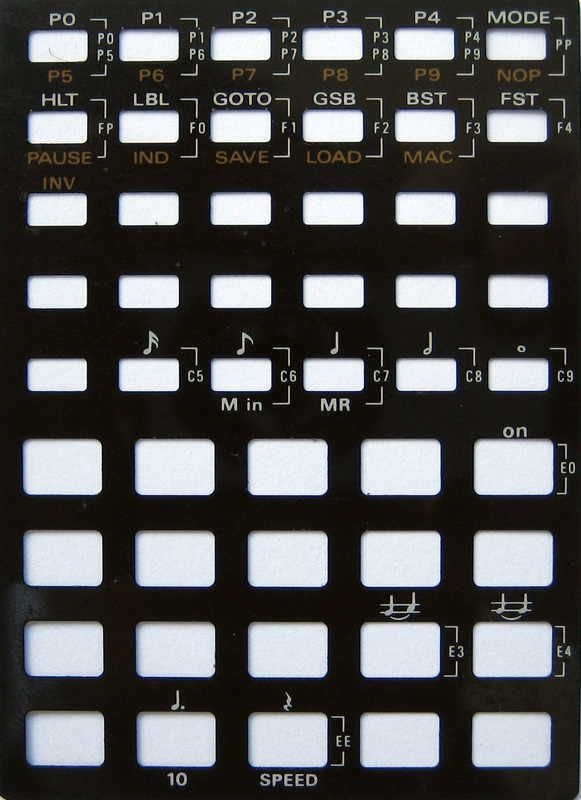 the design was not to play notes like one plays a keyboard but to program them offline and play back using the music feature (essentially the program is saved in a specially timed way).